This entry was posted on Monday, July 6th, 2009 at 10:18 pm	and is filed under Main Dishes, The Barbecue Bible. You can follow any responses to this entry through the RSS 2.0 feed. You can leave a response, or trackback from your own site. 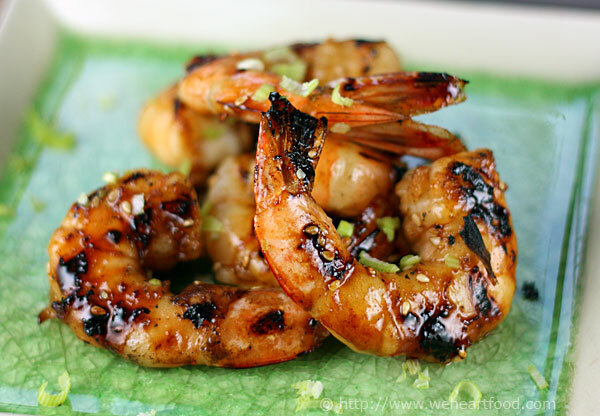 These shrimp look SO yummy! I love Chinese 5 Spice on just about anything especially combined with honey and sesame! I can imagine these flavors would be great on chicken or salmon too. YUM! What a delicious shrimp dish! Yum! Beautiful picture, I would love this dish. This sounds like a really nice way to do shrimp! Fantastic flavors! I never get tired of shrimp dishes. I’m going to give this one a try. There should be laws against posting photos like this!